View QuickTime or AVI animations of SST in year 8 and 9. View the simulated ENSO cycle here. (2019) Chen, C.-C., M.-H. Lo, E.-S. Im, J.-Y. 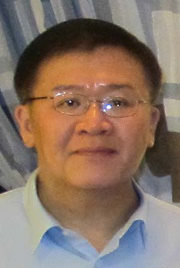 Yu, Y.-C. Liang, W.-T. Chen, I. Tang, C.-W. Lan, R.-J. Wu, R.-Y. Chien, 2019: Thermodynamic and dynamic responses to deforestation in the Maritime Continent: A modeling study, Journal of Climate, In Press. (2019) Cai, W., L. Wu, M. Lengaigne, T. Li, S. McGregor, J. Kug, J.-Y. Yu, M. F. Stuecker, A. Santoso, X. Li, Y.-G. Ham, Y. Chikamoto1, B. Ng, M. J. McPhaden, Y. Du, D. Dommenget, F. Jia, J. B. Kajtar, N. Keenlyside, X. Lin, J.-J. Luo, M. Martin-Rey, Y. Ruprich-Robert, G. Wang, S.-P. Xie, Y. Yang, S. M. Kang, J.-Y. Choi, B. Gan, G.-I. 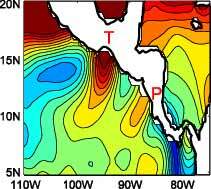 Kim, C.-E. Kim, S. Kim, J.-H. Kim, P. Chang, 2019: Pan-tropical climate interactions, Science, In Press. (2015) Zheng, F., W. Zhang, J.-Y. Yu, and Q.-L. Chen, 2015: A Possible Bias of Simulating the Post-2000 Changing ENSO, Science Bulletin, 60, 1850-1857. (2010) Yu., J.-Y. 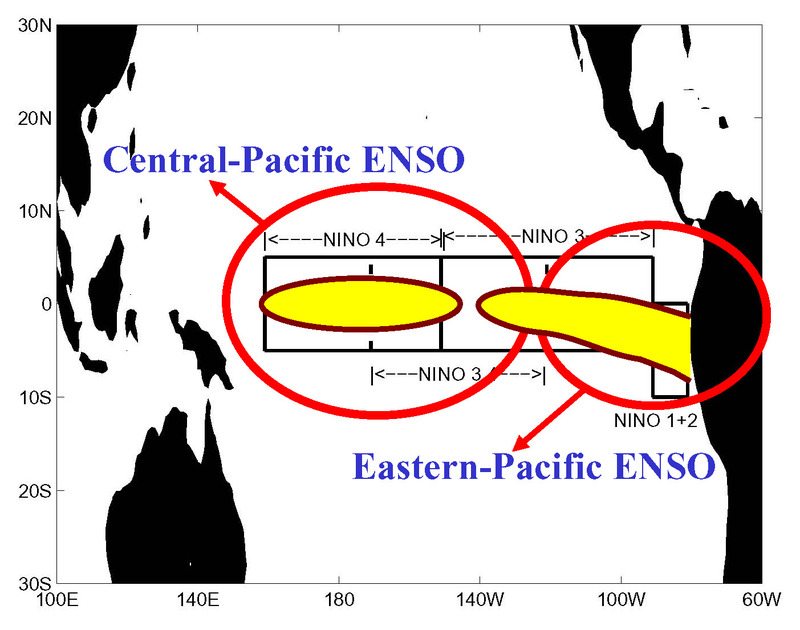 and S. T. Kim, 2010: Three Evolution Patterns of Central-Pacific El Nino, Geophysical Research Letters, 37, L08706, doi: 10.1029/2010GL042810. [PDF]* highlighted in "Editors' Highlight" and Eos's "Research Spotlight"